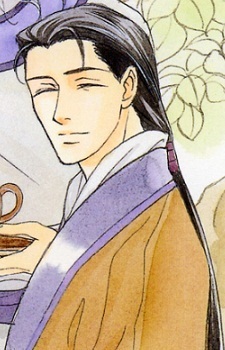 The oldest of the Kou Family and Shuurei's father. He also took in Seiran into his home thirteen years ago. After turning down the position of being the head of the Kou family, he was kicked out of the main household. He then moved to the capital where his younger brother, Reishin, got him a job in the Palace. He works in the Palace as the head of the Royal Archives even though the pay is cheap. Ryuuki often visited Shouka in the Royal library when he was young because Shouka seemed to be one of the few people who treated him with kindness. His job is only that of a librarian, but he is highly respected by everyone. In the English version, his name is Shoka Hong since Kou is another family name in the series. Kou has two kanji symbols in Japanese, one red the other Yellow, which explains why two families have the same romanised name. To avoid confusion, 'Hong' was given unto Shoka's family, the same as the Mandarin Chinese reading.